4601802 F1004 MASSEY FERGUSON F1004 wheel tractor. Spare Parts Catalog. Service (repair) manual. Operation and Service Manual. 4601803 GC1705 MASSEY FERGUSON GC1705 wheel tractor. Spare Parts Catalog. Service (repair) manual. Operation and Service Manual. 4601804 GC1710 MASSEY FERGUSON GC1710 wheel tractor. Spare Parts Catalog. Service (repair) manual. Operation and Service Manual. 4601805 GC1715 MASSEY FERGUSON GC1715 wheel tractor. Spare Parts Catalog. Service (repair) manual. Operation and Service Manual. 4601806 GC1720 MASSEY FERGUSON GC1720 wheel tractor. Spare Parts Catalog. Service (repair) manual. Operation and Service Manual. 4601807 GC2300 MASSEY FERGUSON GC2300 wheel tractor. Spare Parts Catalog. Service (repair) manual. Operation and Service Manual. 4601808 GC2310 MASSEY FERGUSON GC2310 wheel tractor. Spare Parts Catalog. Service (repair) manual. Operation and Service Manual. 4601809 GC2400 MASSEY FERGUSON GC2400 wheel tractor. Spare Parts Catalog. Service (repair) manual. Operation and Service Manual. 4601810 GC2410 MASSEY FERGUSON GC2410 wheel tractor. Spare Parts Catalog. Service (repair) manual. Operation and Service Manual. 4601811 GC2600 MASSEY FERGUSON GC2600 wheel tractor. Spare Parts Catalog. Service (repair) manual. Operation and Service Manual. 4601812 GC2610 MASSEY FERGUSON GC2610 wheel tractor. Spare Parts Catalog. Service (repair) manual. Operation and Service Manual. 4601813 S1204 MASSEY FERGUSON S1204 wheel tractor. Spare Parts Catalog. Service (repair) manual. Operation and Service Manual. 4601814 T240 MASSEY FERGUSON T240 wheel tractor. Spare Parts Catalog. Service (repair) manual. Operation and Service Manual. 4601815 T256G MASSEY FERGUSON T256G wheel tractor. Spare Parts Catalog. Service (repair) manual. Operation and Service Manual. 4601816 T266G MASSEY FERGUSON T266G wheel tractor. Spare Parts Catalog. Service (repair) manual. Operation and Service Manual. 4601817 T277G MASSEY FERGUSON T277G wheel tractor. Spare Parts Catalog. Service (repair) manual. Operation and Service Manual. 4601818 T288G MASSEY FERGUSON T288G wheel tractor. Spare Parts Catalog. Service (repair) manual. Operation and Service Manual. 4601819 T3050 MASSEY FERGUSON T3050 wheel tractor. Spare Parts Catalog. Service (repair) manual. Operation and Service Manual. 4601820 T3060 MASSEY FERGUSON T3060 wheel tractor. Spare Parts Catalog. Service (repair) manual. Operation and Service Manual. 4601821 T3070 MASSEY FERGUSON T3070 wheel tractor. Spare Parts Catalog. Service (repair) manual. Operation and Service Manual. 4601822 T3075 MASSEY FERGUSON T3075 wheel tractor. Spare Parts Catalog. Service (repair) manual. Operation and Service Manual. 4601823 T3085 MASSEY FERGUSON T3085 wheel tractor. Spare Parts Catalog. Service (repair) manual. Operation and Service Manual. 4601824 T3095 MASSEY FERGUSON T3095 wheel tractor. Spare Parts Catalog. Service (repair) manual. Operation and Service Manual. 4601825 T3105 MASSEY FERGUSON T3105 wheel tractor. Spare Parts Catalog. Service (repair) manual. Operation and Service Manual. 4601826 TE 20 MASSEY FERGUSON TE 20 wheel tractor. Spare Parts Catalog. Service (repair) manual. Operation and Service Manual. 4601827 TEA 20 MASSEY FERGUSON TEA 20 wheel tractor. Spare Parts Catalog. Service (repair) manual. Operation and Service Manual. 4601828 TO 20 MASSEY FERGUSON TO 20 wheel tractor. Spare Parts Catalog. Service (repair) manual. Operation and Service Manual. 4601829 TO 30 MASSEY FERGUSON TO 30 wheel tractor. Spare Parts Catalog. Service (repair) manual. Operation and Service Manual. 4601830 TO 35 MASSEY FERGUSON TO 35 wheel tractor. Spare Parts Catalog. Service (repair) manual. Operation and Service Manual. 4601831 MASSEY FERGUSON Crawler Tractors. 4601832 MF 134 C MASSEY FERGUSON MF 134 C Track tractor. Spare Parts Catalog. 4601833 MF 154 C MASSEY FERGUSON MF 154 C Track tractor. Spare Parts Catalog. 4601834 MF 174 C MASSEY FERGUSON MF 174 C Track tractor. Spare Parts Catalog. 4601835 MF 194 C MASSEY FERGUSON MF 194 C Track tractor. Spare Parts Catalog. 4601836 MF 234 C MASSEY FERGUSON MF 234 C Track tractor. Spare Parts Catalog. 4601837 MF 234 CF MASSEY FERGUSON MF 234 CF Track tractor. Spare Parts Catalog. 4601838 MF 244 CF MASSEY FERGUSON MF 244 CF Track tractor. Spare Parts Catalog. 4601839 MF 254 C MASSEY FERGUSON MF 254 C Track tractor. Spare Parts Catalog. 4601840 MF 254 CF MASSEY FERGUSON MF 254 CF Track tractor. Spare Parts Catalog. 4601841 MF 264 T CF MASSEY FERGUSON MF 264 T CF Track tractor. Spare Parts Catalog. 4601842 MF 274 C MASSEY FERGUSON MF 274 C Track tractor. Spare Parts Catalog. 4601843 MF 274 CF MASSEY FERGUSON MF 274 CF Track tractor. Spare Parts Catalog. 4601844 MF 294 C MASSEY FERGUSON MF 294 C Track tractor. Spare Parts Catalog. 4601845 MF 356 CF MASSEY FERGUSON MF 356 CF Track tractor. Spare Parts Catalog. 4601846 MF 364 CF MASSEY FERGUSON MF 364 CF Track tractor. Spare Parts Catalog. 4601847 MF 366 CF MASSEY FERGUSON MF 366 CF Track tractor. Spare Parts Catalog. 4601848 MF 367 CF MASSEY FERGUSON MF 367 CF Track tractor. Spare Parts Catalog. 4601849 MF 376 C MASSEY FERGUSON MF 376 C Track tractor. Spare Parts Catalog. 4601850 MF 376 CF MASSEY FERGUSON MF 376 CF Track tractor. Spare Parts Catalog. 4601851 MF 376 XCF MASSEY FERGUSON MF 376 XCF Track tractor. Spare Parts Catalog. 4601852 MF 394 C MASSEY FERGUSON MF 394 C Track tractor. Spare Parts Catalog. 4601853 MF 396 C MASSEY FERGUSON MF 396 C Track tractor. Spare Parts Catalog. 4601854 MF 396 CF MASSEY FERGUSON MF 396 CF Track tractor. Spare Parts Catalog. 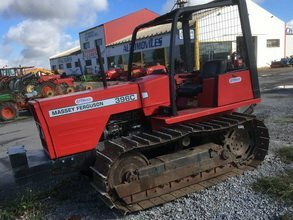 4601855 MF 396 CT MASSEY FERGUSON MF 396 CT Track tractor. Spare Parts Catalog. 4601856 MF 3340 C-FL MASSEY FERGUSON MF 3340 C-FL Track tractor. Spare Parts Catalog. 4601857 MF 3350 C-FL MASSEY FERGUSON MF 3350 C-FL Track tractor. Spare Parts Catalog. 4601858 MF 3355 C-FL MASSEY FERGUSON MF 3355 C-FL Track tractor. Spare Parts Catalog. 4601859 MF 3425 CF/CM MASSEY FERGUSON MF 3425 CF/CM Track tractor. Spare Parts Catalog. 4601860 MF 3435 C/CF/CFM Tier 3 MASSEY FERGUSON MF 3435 C/CF/CFM Tier 3 Track tractor. Spare Parts Catalog. 4601861 MF 3435 C/CF/CM MASSEY FERGUSON MF 3435 C/CF/CM Track tractor. Spare Parts Catalog. 4601862 MF 3445 C/CF/CM MASSEY FERGUSON MF 3445 C/CF/CM Track tractor. Spare Parts Catalog. 4601863 MF 3445 C Tier 3 MASSEY FERGUSON MF 3445 C Tier 3 Track tractor. Spare Parts Catalog. 4601864 MF 3455 C/CF/CFM Tier 3 MASSEY FERGUSON MF 3455 C/CF/CFM Tier 3 Track tractor. Spare Parts Catalog. 4601865 MF 3455 C/CF/CM MASSEY FERGUSON MF 3455 C/CF/CM Track tractor. Spare Parts Catalog.